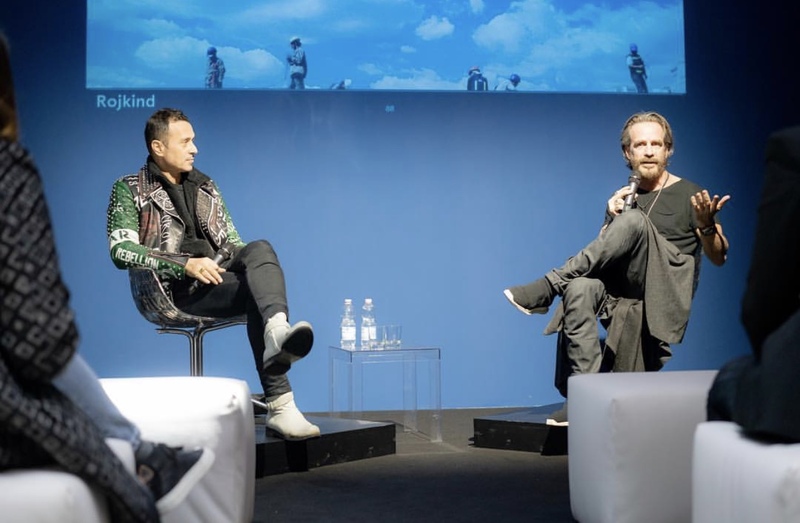 “What is the future of architecture and working spaces?” Fabio Novembre and Michel Rojkind had a special dialogue with Domus Academy students for Milan Design Week. Driade chose three designers for “Landmarks” the new installation curated by Fabio Novembre. 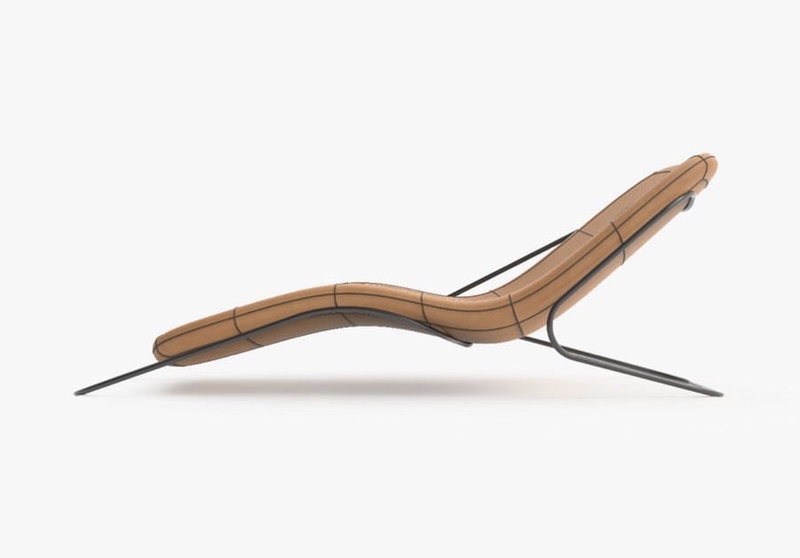 The inspiration for the “Wireflow” chaise lounge came from the concept of subtle movement unfolding in time. The design expresses simplicity, dynamism, lightness and continuity. 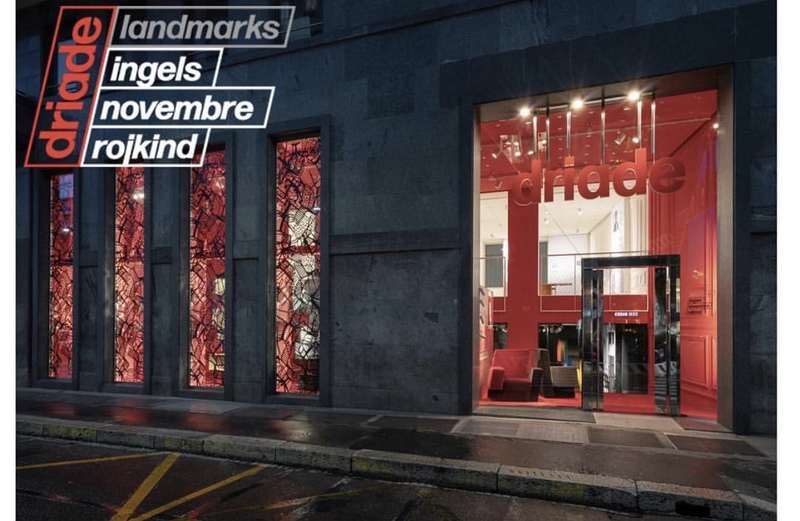 For Milan Design Week 2019, Driade’s flagship store in Milan, Italy hosts “Landmarks”: a one of a kind installation in collaboration with Fabio Novembre, BIG – Bjarke Ingels Group and Rojkind Arquitectos. The inauguration event will be April 11, 2019. 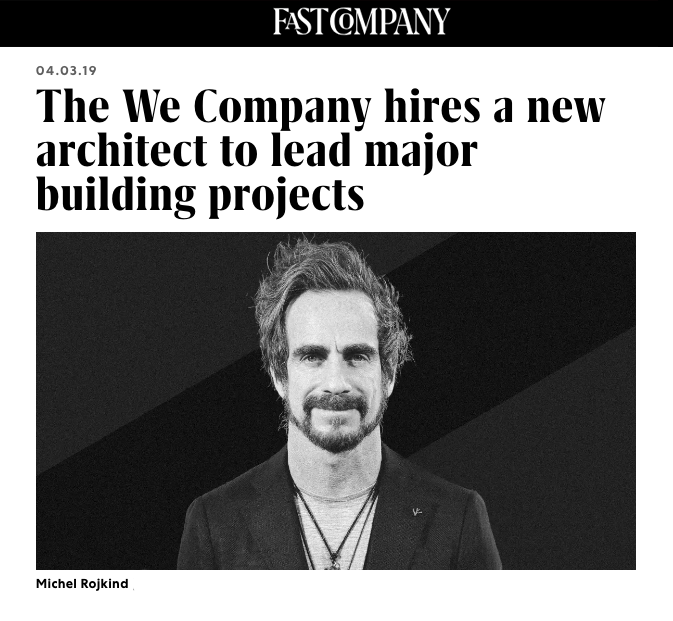 The We Company–the parent company of the coworking startup WeWork–has hired Mexican architect Michel Rojkind as its senior VP of architecture, leading all of WeWork construction projects. His first job? Overseeing the build of a 200,000-square-foot office in Bentonville, Arkansas. 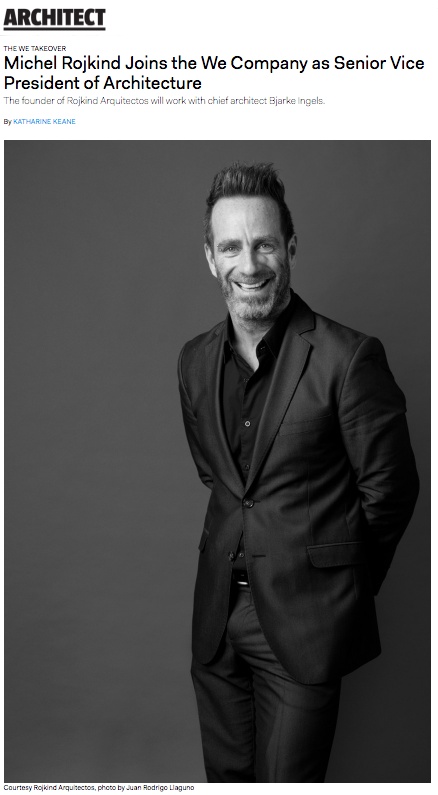 Mexican architect Michel Rojkind will oversee all the design and architecture projects of the US company. 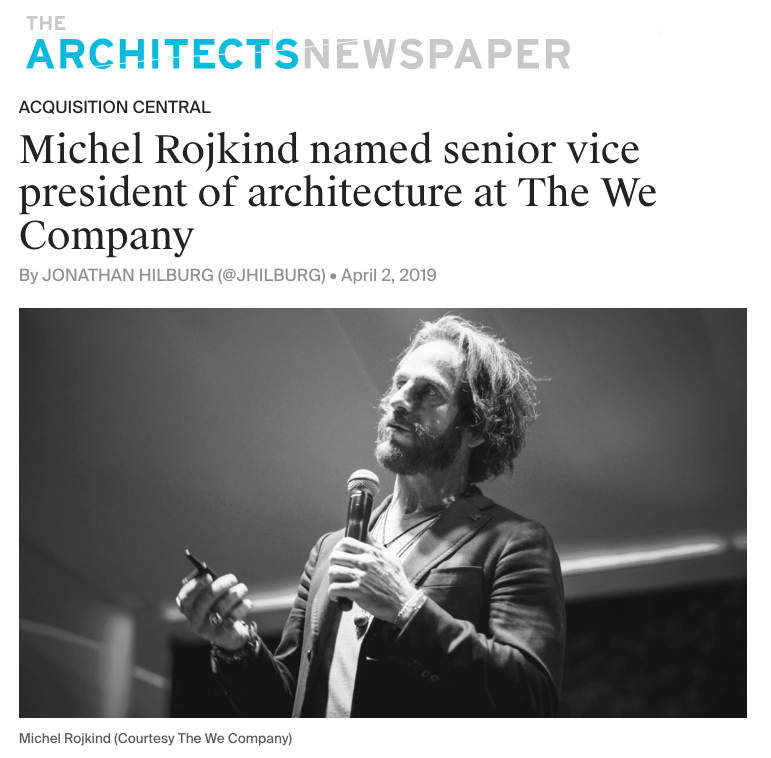 Mexican architect Michel Rojkind, founder of Rojkind Arquitectos, has been hired as the senior vice president of architecture at WeWork’s parent corporation, The We Company. His first project? Overseeing the design and construction of a ground-up, 200,000-square-foot coworking building in Bentonville, Arkansas, with the company’s chief architect, Bjarke Ingels. Moving forward, Rojkind will be involved with all ground-up projects at the company. The We Co.—the parent company of WeWork—has added another architecture star to its roster. 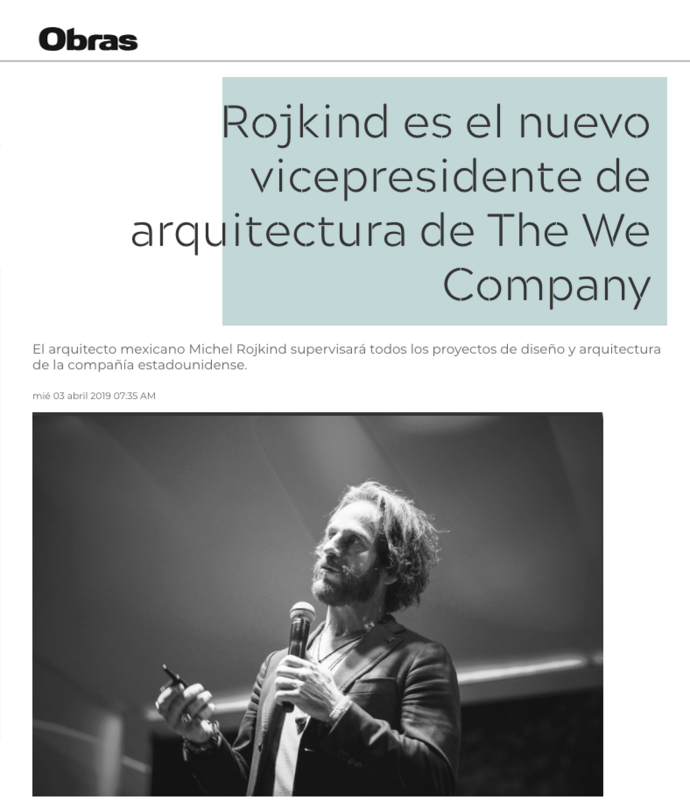 Announced in a press release today, Mexican architect Michel Rojkind has joined the growing co-working, co-living, co-exercising, and co-educating giant as the senior vice president of architecture and will work closely with We’s chief architect Bjarke Ingels, who has served an an adviser to the company since last year.